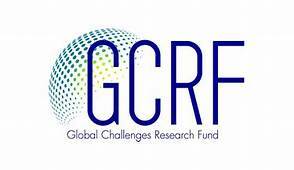 Funded by the UK’s Engineering and Physical Sciences Research Council (EPSRC), the HEED project is an innovative response to growing recognition of the need to improve access to energy, particularly from renewable energy sources, for populations displaced by conflict and natural disasters. The project focuses on the lived experiences of Congolese refugees living for protracted periods of time in three refugee camps in Rwanda (Nyabiheke, Gihembe and Kigeme) and people displaced in Nepal as a result of the 2015 earthquake. Our research draws upon social science and engineering expertise to better understand energy needs and identify solutions, which produce socio-technical systems that encourage community resilience and capacity building. After a series of field trips meeting with MIDIMAR, UNCHR, NGO’s and the refugees themselves in Nepal and Rwanda, Professor Elena Gaura and Professor Heaven Crawley, along with other members of the HEED project identified potential energy intervention designs. These designs will be rolled out in all or some of the selected camps starting in January 2019. Before the delivery of the energy invertion design project is introduced to the chosen camps the HEED project showcased the items at a series of three D4D workshops. These workshops informed a wide range of stakeholders with an interest in energy and displacement, about the aims and objectives of the HEED project and its relationship to other policy initiatives. It gave members of the team an opportunity to discuss with stakeholders the role of engineering in developing improvements to the efficiency and sustainability of energy interventions, with particular reference to HEED’s interventions in Rwanda. The workshops were also instrumental in giving the HEED project team and key policy and practice stakeholders and energy providers opportunity to develop an ‘Energy for Displacement Protocol’ which will address key issues including energy needs and aspirations, community ownership and sustainability. D4D Workshop, 4th and 5th September 2018, Kigali, Rwanda. D4D Workshop 2nd October 2018 Coventry University, UK. With support from the UK Engineering and Physical Sciences Research Council (EPSRC), the HEED project is involved in delivering a series of summer schools aimed at MSc and PhD students, early career lecturers and researchers that have a background in engineering, computer sciences and social sciences in Nepal and Rwanda. Led by researchers based at Coventry University, UK the summer school provides an opportunity for participants to develop their research skills, present and receive feedback on their own projects and form networks with other researchers in their field.